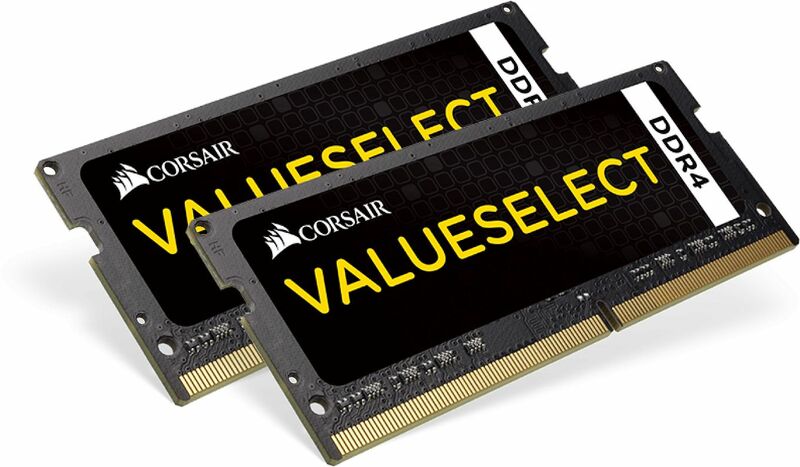 Corsair's ValueSelect memory is fast and reliable DDR4 SODIMM for Intel 6th or 7th generation Core platform systems. They're assembled from select components and carefully screened for stable, reliable operation. And, they're backed by a limited lifetime warranty for the confidence you need when your system needs to work every time, all the time. Low-voltage Small Outline Dual In-line Memory Module fits 7th Gen Intel NUC, laptops, etc. Virtually all notebooks, laptop PCs and Intel's NUCs all use SODIMM memory modules. Those that utilise DDR4 SODIMM standard will benefit from this range of memory.